What Does MTC Mean to You? Missionary Training Center. That’s what MTC stands for, right? Well, it depends on you. I remember in a previous ward where we lived, around the time a young man was about to leave on a mission, his younger sister was worried because she thought her brother was going to the Empty Sea. You know, that big, vast, scary waterless ocean? That’s what she thought until her dad sat her down and gave her a little better explanation. Then there’s the teenager who thinks that MTC stands for My Trial’s Coming. A mission is an ominous, mysterious obligation to outwardly anticipate but to inwardly dread. No fun. Finally, there’s the dedicated missionary, the one who’s there because she wouldn’t rather be any other place in the world, the one who willingly forgets how to complain, the one who feels the Spirit so strong that she finally feels like she’s found home. 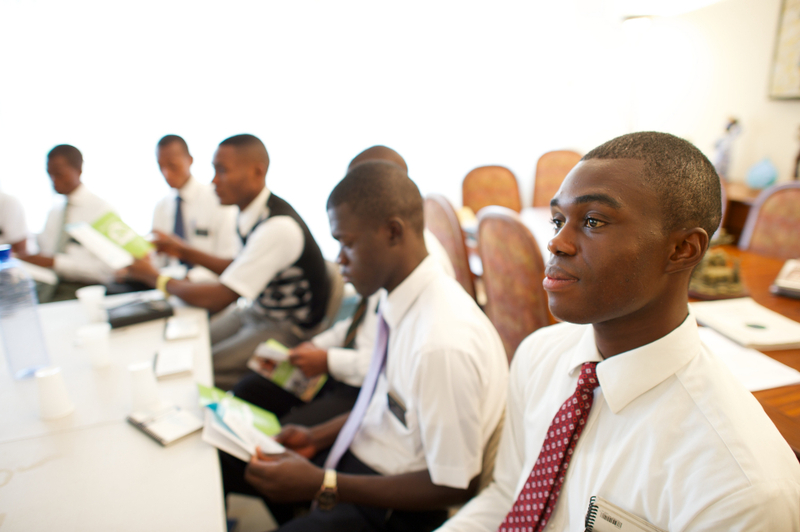 For such a missionary, MTC means My Time with Christ. Your definition of MTC might be different than others’, depending on where you are in your life. It’s not so much a matter of age or station, but it has a lot to do with attitude and spirit, two things that determine what road you’ll travel. I prefer the high road. The view’s a lot better. The road signs are much easier to read. And there’s always 24-hour roadside service. And no matter what, you’ll always arrive at your destination in one piece. I went to the Provo MTC in its first year of operation–to me it will always be the Garden of Eden before I was thrust out into the lone and dreary world. I took our oldest son there in 2010 and was overcome with joy at letting him go into the service of the Lord. In fact, I was rather envious, knowing the adventures he would have. I have hopes that my husband and I will someday be privileged to go there together. I went on my mission before there was such a thing as an MTC! I look forward serving again as well, though our current assignment among the homeless feels like a mission without a call. I know, my older brother went to the LTM to learn Portuguese and wait for his Visa; the next brother simply went to the SLC Mission Home before going to Montana. I have a nephew who went the the MTC in Sao Paulo before serving in another Brazilian mission. We live in marvelous times!